Fans will get to see a new side of Marvel's resident archer in an upcoming series. Marvel Comics is set to release an Old Man Hawkeye comic, according to NY Daily News. The series will be written by Daily News alum Ethan Sacks and illustrated by Marco Checchetto (Star Wars: Captain Phasma). It will take place forty-five years in the future from the current timeline, but five years prior to the events of Old Man Logan. "Old Man Hawkeye is, on its own terms, an epic story," Axel Alonso, Marvel Editor-in-Chief, said. "Readers will gain insight into previously established characters, explore new corners of the Wasteland, meet new characters, and discover exciting Easter eggs all throughout Clint's journey." 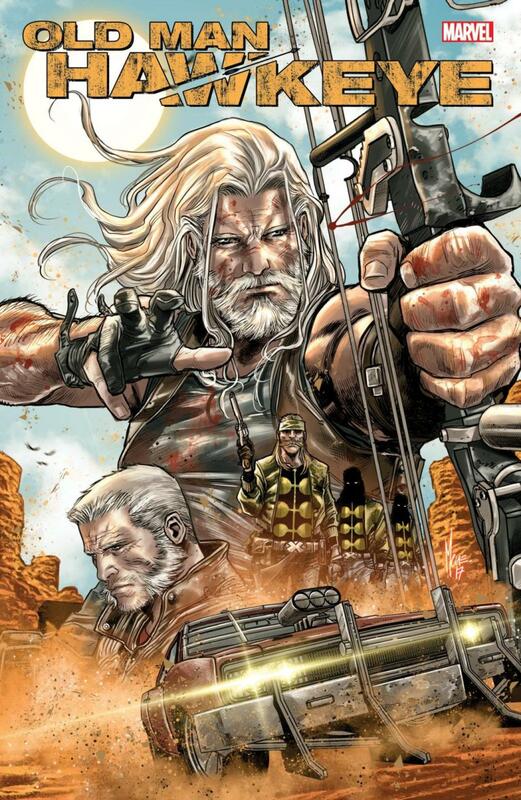 As fans will remember, Clint Barton/Hawkeye played a significant role in Old Man Logan, partnering with the aging Wolverine in a road trip adventure. Old Man Hawkeye will detail Clint's life before that fateful trip, during which he fought to "avenge his fallen comrades" in a villain-dominated apocalyptic wasteland, while going blind in the process. "In this story, he's losing his vision and that sort of forces him to confront something really horrible that happened to him personally 45 years ago, and go on his own hero's journey while he still can." Sacks explained. "It's very much like a ticking clock that's forcing him into action." The first issue of Old Man Hawkeye is set to be released in January, before turning into a twelve-issue monthly series.